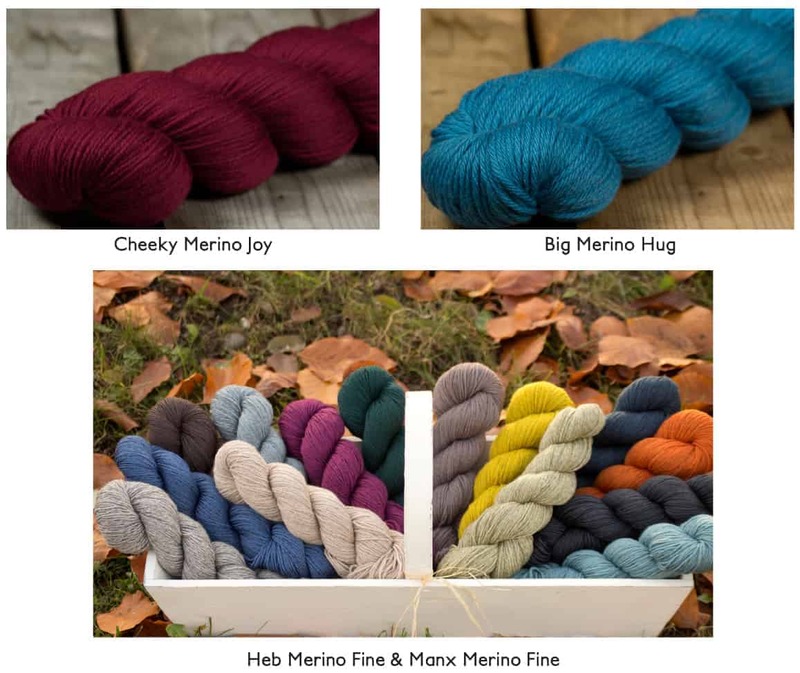 This is the eighth in a series of blog posts featuring the fabulous sponsors of the 2018 Rhinebeck Trunk Show. The upstate New York LYS Yarn Culture has been a fixture at knitting marketplaces around the country — this will be Patti and Mitch’s fourth year as a vendor and sponsor for the Indie Untangled Rhinebeck Show. Yarn Culture always brings a variety of dyers and indie yarn companies. This year, they will be representing Crave Yarn, Spun Right Round, The Uncommon Thread and WalkCollection. 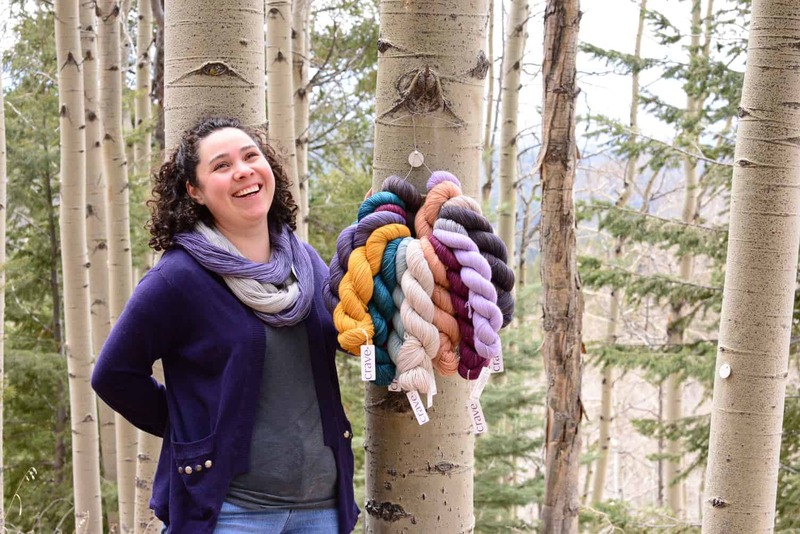 I decided to learn a little bit more about Amor Valdez, the New Mexico based dyer behind Crave who also has an LYS of her own — AMORES in Santa Fe. My dyepot journey was catalyzed by a hunt for pistachio green. I wanted to knit a shawl for a friend in her favorite color, as a personalized gesture to say, “I see you and love you.” Her favorite color, you likely guessed, is pistachio green. The hunt in my LYSs was in vein, but it did lead me to the doorstep of perhaps the most life-changing lighting bolt of an idea… maybe I can dye the color myself. I found an online course created by Kim McKenna. 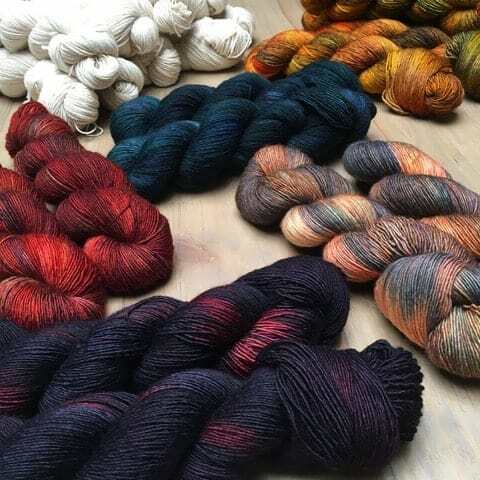 In this course Kim guides you through the process of creating a color wheel in tiny mini skeins to get acquainted with color theory and dyeing methods simultaneously. Well, once I got started I just couldn’t stop with the mini skeins and color play. Approximately 200 mini skeins later, I dyed my first full skeins in, predictably, pistachio green. Even though I was at the tail end of graduate school at the time, I dove full tilt into the realm of color and fiber. And when I completed my degree, I respectfully tucked it away, and started Crave Yarn… as I couldn’t imagine wanting to do anything else. Explain how your Crave yarn is dyed, as I understand it’s done on a much larger scale than other home or studio-based dyers. Crave operates on two scales simultaneously. As my wholesale representation expanded, I found myself dyeing 10+ pots a day of a single colorway and eventually felt that there must be a better way to fulfill this portion of yarn demand. At that time, my colorways were primarily semi-solids. So I explored the prospect of working with a small batch dyehouse. Of course, a dyehouse small batch is 10 to 20 times larger than my personal dyepot capacity. So I focused my energies on creating beautiful color stories in the form of cohesive color palettes. For each palette, I dyed an average of 50 samples per color to find precisely the hue that I was after to fit in with the full color spread. I made a tandem shift toward custom-milled yarn bases, giving me the freedom to create the fiber blends, weights and yarn structures that I dreamed of. These yarn lines are the result of my artisan passions, but can now be maintained and reproduced on a scale that allows me to reach more shops and fiber artists with my fiber and color love. Another reason for this shift was to create space in my studio schedule to return to my artisan passion for color play with more freedom. Alongside my solid colors, I threw myself into the creation of one-of-a-kind colorways on my custom bases and on any other yarn bases that inspire me to explore the beautiful and infinite possibilities of color. 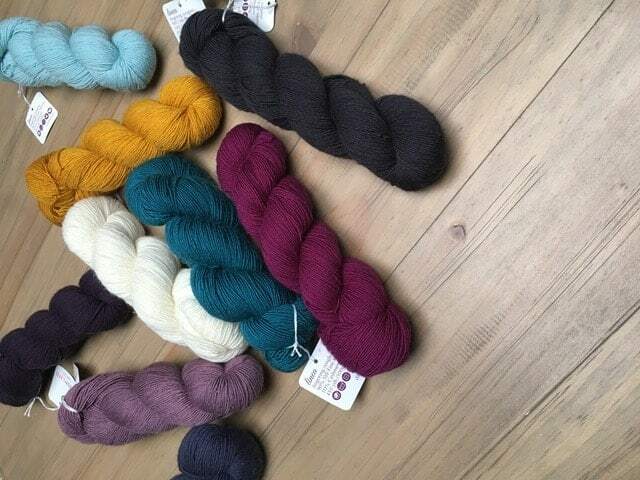 These colorways are available in my Santa Fe Shop, AMORES, and soon online. They will also be featured in the Yarn Culture booth at the Indie Untangled Trunk Show! Tell me about the decision to open AMORES and how it stands apart from other yarn shops. AMORES Yarn Shop + Studio is my wildest fiber dream come true. The first time I stepped into a yarn shop, I was immediately struck by cupid’s arrow. That was eight years ago, and I think I have been planning my own shop since that very moment. One year ago, I felt that the time had arrived to pluck the notion from my daydreams and begin the search for a location. In 300 square feet and with the endless support and talents of my family, AMORES was born. It is a beautiful sunlit showroom where I feature the fibers that I love and the colorways I create. Along with a wide selection of knit samples that inspire my customers (and myself) to try new techniques, to embrace the elegance of simplicity and to imagine the power of color to uplift mood and self (not an overstatement). Aside from a small lovingly-curated collection of notions and tools, the shop is focused on my fiber projects and collaborations. By far, the greatest gift received by opening the shop is the community. I have met the most amazing and kind individuals, fellow Santa Feans and visitors alike. It really has been wonderful to join and serve our ever growing knitting community in a new way— and to create a space where fiber lovers are valued and celebrated for their craft and friendship. I definitely have favorite colors, but since becoming a dyer it is basically a rapidly changing and hugely expansive category for me. I fall in love with new colors every time I step into my studio or hang a new colorway in the shop. So I would have to say that more than changing my “favorite colors,” my dye life has changed the way I see and value color. My favorite colors change with my mood, with the quality of the light, with the season, with a song transition on the radio. It’s an extremely dynamic and playful aspect of my life, for sure. Above all, I think I am acutely tapped into the way colors make me feel about the moment, the day, myself, the place I find myself in, the world and about what is possible. I learned how to knit 14 years ago when I was pregnant with my youngest daughter. I made a garter scarf… although as I think of it now, I’m not sure I actually finished it. It didn’t really stick at that point. Then I got curious again in 2008 and like a message from the gods I stumbled upon the newly minted Ravelry. Fun fact about me, my right brain (the artist’s realm) basically has two speeds, meh OR let’s buy the farm. 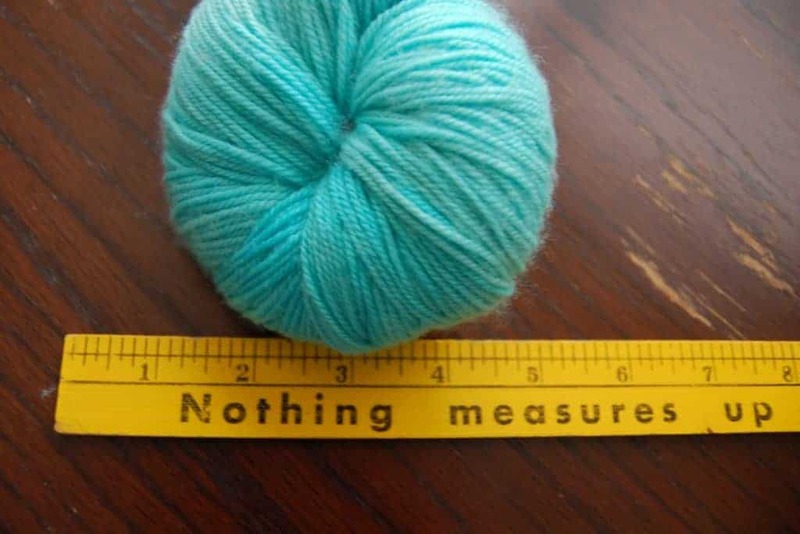 When I found Ravelry and started knitting again, I was an overnight zealot. I also crochet, which was the first fiber art I learned sitting at the hem of my grandmother’s skirts. My grandmother whispers to me through crochet stitches, and in that there is love. But my design life and most fervent passion resides in knitting. The super short story of all this is: I LOVE YARN! I strive to capture the beautiful color transitions of our New Mexico sunrises and sunsets. Santa Fe is surrounded by mountain ranges in virtually every direction and the sun’s comings and goings at the edge of those mountainous peaks is magnificent. Those are the colorways that I often seek in my dyepots. I’ve arrived at many beautiful colorways in this pursuit, but I’m still reaching to capture the incredibly dynamic color symphonies of our northern New Mexico skyscapes. Rather than specific projects, I think my favorite FOs fit into a particular category, gift knitting. I am always impressed by the generosity of knitters to execute thousands upon thousands of stitches in completing a beautiful project, to then turn around and gift it to someone. Wow! Knitters knit for family and friends as a gesture of love, they knit for strangers in crisis, they knit for peace and advocacy. Amazing! And in this category I also include the occasional gift of knitting for oneself. When a knitter takes the time to bestow a kindness on themselves through the slow and mindful practice of knitting, to create beauty and know that they deserve to enjoy the fruit of their energies… that too is a well deserved gesture of love. The entrepreneurial community of the fiber arts industry has revealed two outstanding truths to me: 1) Women are AMAZING; operating at levels of ingenuity and integrity that are endlessly inspiring; 2) Kindness and empathy are as relevant in business as they are to all human experiences; passion and ambition fit just fine alongside the goals of leading a just, compassionate and charitable life.